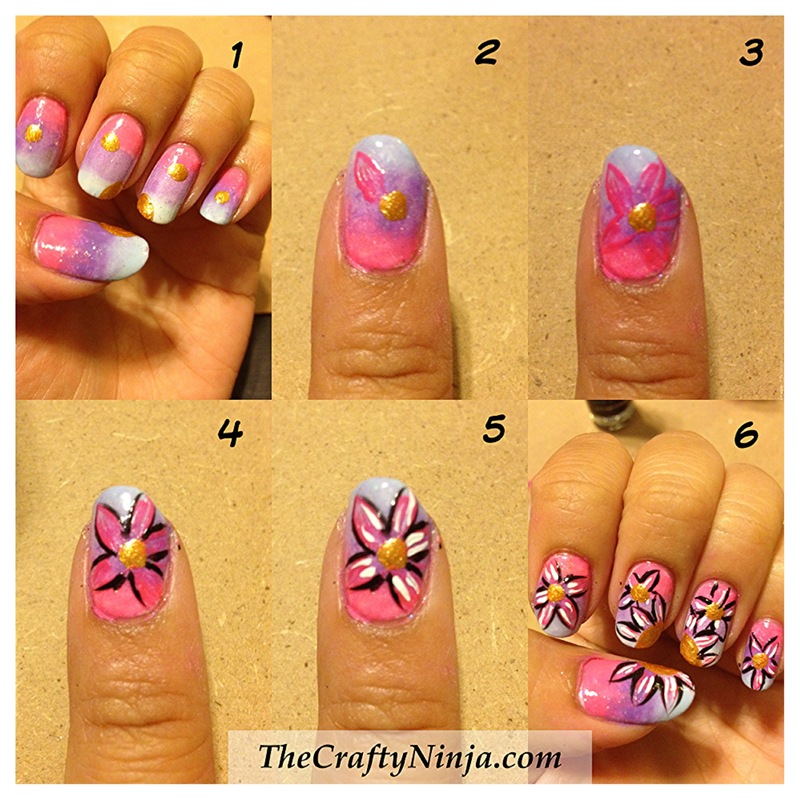 Today’s nail tutorial is creating a flower design that is connected on each finger. I first did an Gradient Ombre Nails as the base color, tutorial here. I’m so in love with this look! Very summery, girly, and fun! 1. To create this look I first created an gradient base here. Then added dots and half dots around to connect the flower with Orly- Glitz. 2. 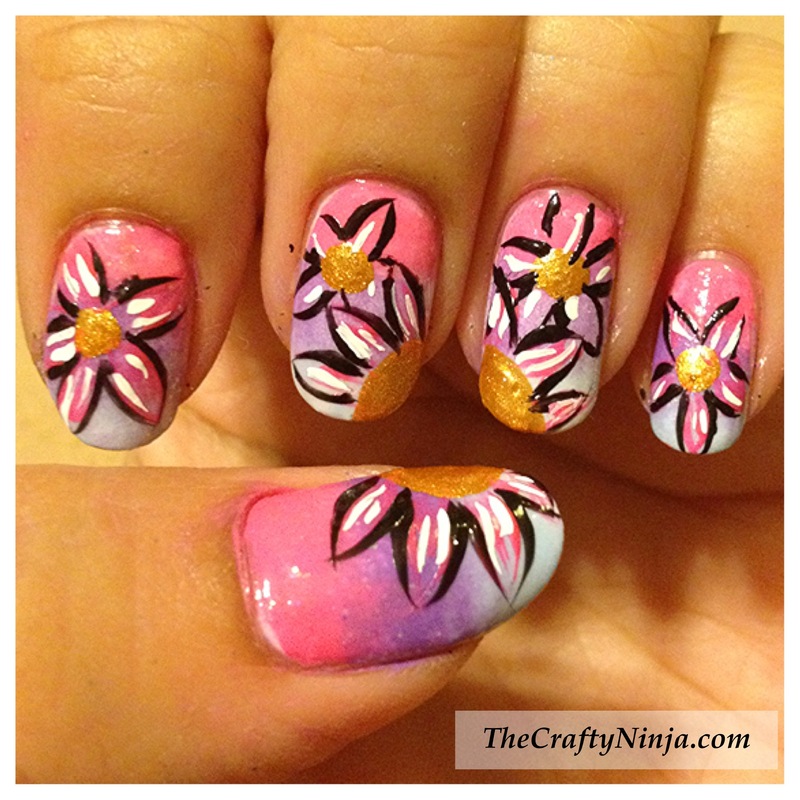 I used LA Colors Art Deco polishes, purchase here, in pink to draw the first petal around the center dot. 3. I continued to draw the petals around the center dot. 3. Using LA Colors Art Deco in Black I outlined the petals. 4. With the LA Colors Art Deco in White I added highlights with two small lines in each petal. 6. Repeat each step with each center dot to create a completed look. I love how my middle, ring, and thumb create a full flower.